I am a big believer in the currency of fun because when it comes down to it, who wouldn’t want a bit more fun in their lives? It puts a spring in your step and makes life richer. As an adult it’s easy to lose sight of the value of fun and play because real life can be a grim place to be at times. But those are the times that we need fun the most. So on that note, did I tell you the one about the nail file shaped like a chocolate biscuit? 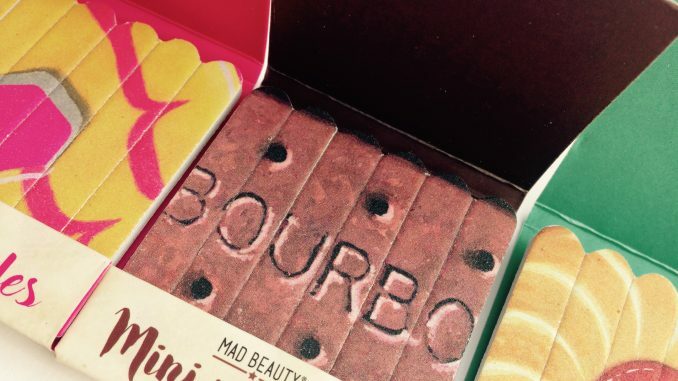 Reigning queens of cute and covetable packaging, Mad Beauty, have really outdone themselves with their latest biscuit-themed range. Jammy Dodgers, Bourbons and Party Rings have all been sources of inspiration. 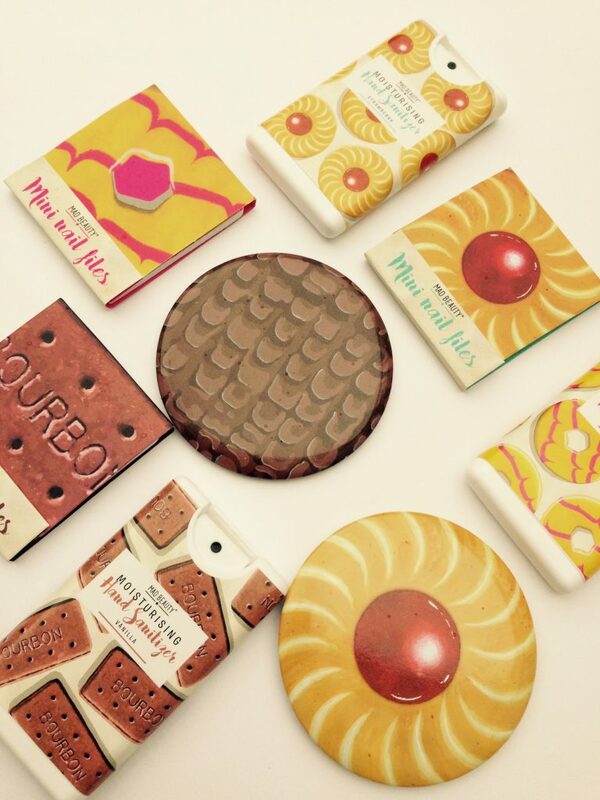 This range will either make you crave a biscuit or make you sick of the sight of them. This is a range of handbag-sized beauty accessories. Flip over the giant Jammy Dodger and it’s a mirror or open up the Party Ring to find six mini nail files. There are also three scented hand sanitizers, lip balms and tissues (not shown). The Mad Beauty biscuit range starts at a modest 99p and doesn’t go any further than around the three quid mark. If you are a real forward thinker then you could bookmark this range for when stocking filler season rolls around again. It’s the sort of thing that makes teenagers squeal with delight (ditto anybody else who likes biscuits). The hand sanitizers come in corresponding scents. Bourbons mean vanilla, Party Rings means cherry and our favourite is the Jammy Dodger variety with a distinctly jammy strawberry scent. Now, girls/boys/undecideds – doesn’t that just make you want to have fun? 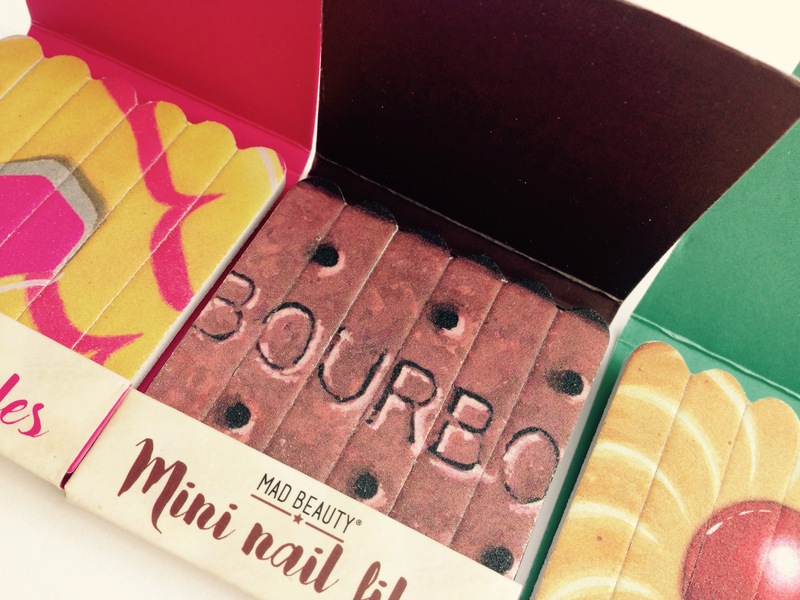 The Mad Beauty biscuit range is priced from 99p to £2.99. Find out more here at the Mad Beauty site.